On National Highway (NH) 49B, the section from Thuan An to Loc Binh (Phu Loc) is said to be a new tourist route of Hue, especially when the products on this route are developed. 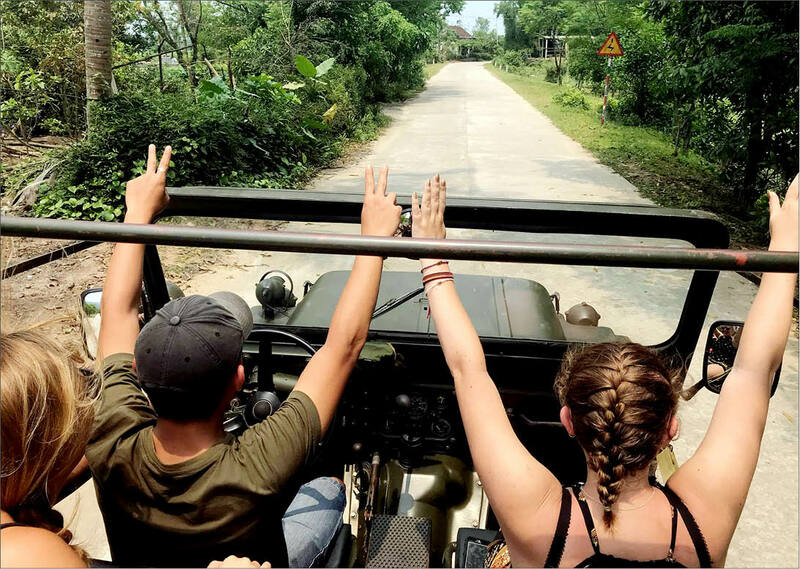 Vo Dinh Hai, in charge of the jeep backpacking tour that has been put into operation in Hue recently, along with 4 young foreign tourists started the journey from Hue to Hoi An. The path that the whole team chose was to move along NH49B to seek a new sense of discovery. “Indeed, foreign tourists were terribly surprised at the route abounding in unique attractions with beautiful landscapes. 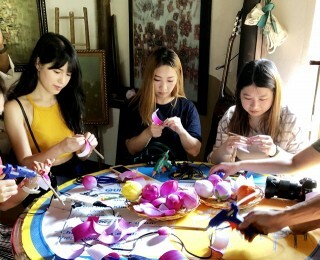 Moving on the route is also an interesting experience from the plain to the gentle hills to contemplate the extremely beautiful scenery of Cau Hai Lagoon,” Hai said. If having the occasion of going on NH 49B, you will easily see the groups of cyclists, or sometimes 1 to 2 tourists who cycle on their own to discover the new lands of Hue. 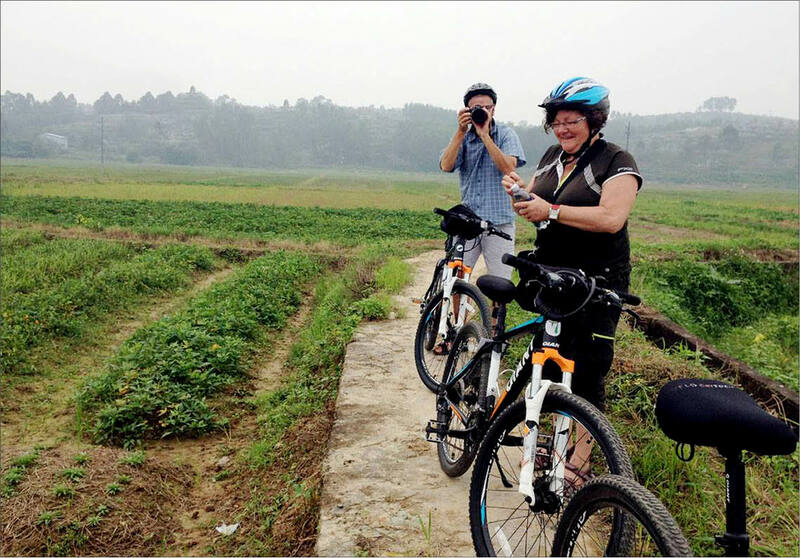 Getting a grip on the customers’ need, many tour operators organize bicycle tours to explore Tam Giang - Cau Hai Lagoon. The tour starts from Thuan An, the only interchange between Tam Giang Lagoon and East Sea, going down NH 49B to Tu Hien Sea Gate. On the journey, the tour operators take tourists to the fishing village, local fish sauce village, Cham Tower of My Khanh and Tuy Van Pagoda. Ms. Nguyen Thi Ngoc Quynh, Director of Nu Cuoi (Smile) Hue Tourism & Trading Company, Ltd. said that the reason why this route was chosen by the company to exploit and chosen by tourists was that it has the attractions that few tourists know of ; it is suitable to join in the tour by bike in terms of distance and time. To start the journey, follow NH 49B, and to return, move on NH 1A, producing new senses. Mr. Tran Dinh Minh Duc, Head of Travel Management Department, Department of Tourism analyzed the great diversity of the travel form to explore on NH 49B, maybe by motorbike, bicycle, car and even Jeeps recently. 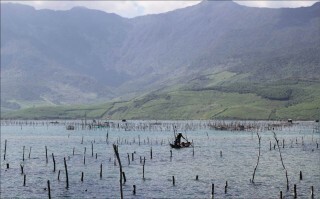 When participating in the journey on NH 49B, tourists will cross 5 lagoons: lagoons of Cau Hai, Thuy Tu, Ha Trung, Sam, and Thanh Lam, with one side being the large lagoons in succession, the other the immense sea. In particular, on this route, tourists also discover the "maze" in An Bang city of mausoleums. This tourist destination is known by many tourists on account of its originality and extraordinariness. For the sea, the section from Thuan An to Loc Binh boasts many most beautiful beaches of Hue. NH 49B will lead tourists in turn through the sea of ​​Thuan An, Phu Thuan, Vinh Xuan, Vinh Thanh, and Ham Rong famous for its splendid natural landscape, or Hai Binh Sea located at Tu Dung Sea Gate has also just been exploited. Mr. Tran Dinh Minh Duc judged that with the highlights on the route, it would be especially suitable to develop attractive photo tours. Recently, the community tourism site in Ganh Lang (Loc Binh) has begun to attract tourists. According to the Department of Culture and Information of Phu Loc District, Ganh Lang is attracting a large number of backpackers on NH 49B. Tourists stop to experience the services of fishing and enjoy the fresh, delicious specialties on Cau Hai Lagoon. After the experience with Cau Hai Lagoon, tourists can stand on the highest hill in Loc Binh to contemplate Cau Hai Lagoon like a watercolor painting. Loc Binh is also the end point of NH49B, intersecting with NH 1A; tourists can return to the city or stay to view sunset on the lagoon and spend a night exploring the native culture with homestay service in Ganh Lang. In Mr. Tran Dinh Minh Duc’s evaluation, the tourist route on NH 49B has not yet been exploited much, so it remains very new to tour operators as well as tourists. In tourism, the newly-discovered sites always urge tourists, especially those with passion, to travel to. 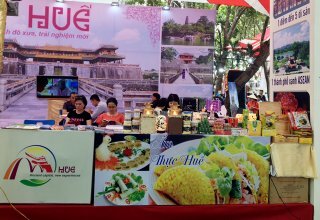 The sector’s orientation of developing tourism products and satellite products for Hue City is encouraged. However, for long-term development, more stopover points and services should be perfected apart from the novelties along NH 49B. 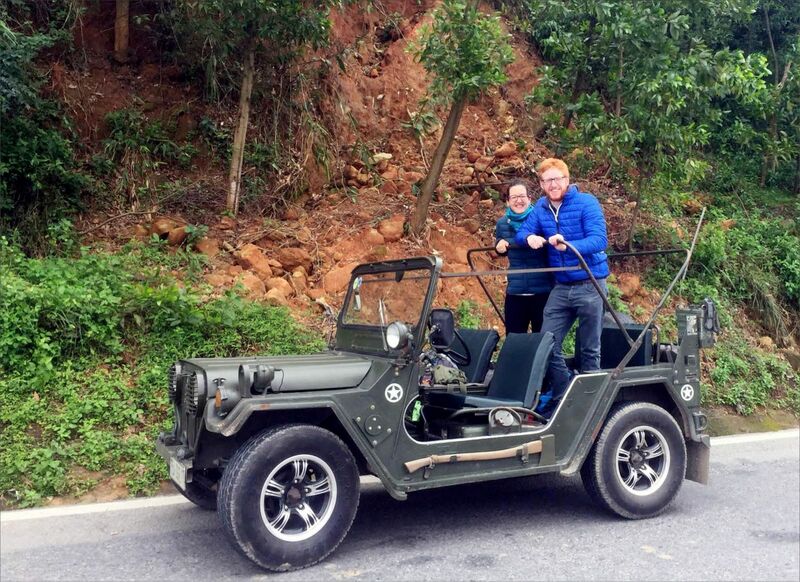 Vo Dinh Hai said that the participants in the backpacking tour by Jeep are mainly young foreigners. For these tourists, they always like novelties, sometimes even adventure. 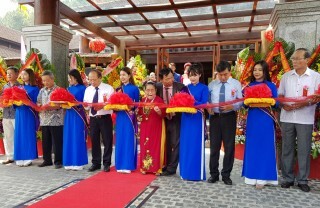 Mr. Nguyen Van Phuc, Deputy Director of the Department of Tourism, said that many projects of resort and entertainment tourism in Vinh Xuan and Vinh Thanh are being launched, promising to create stopover points for tourists to entertain. On the contrary, upon arriving at these points, tourists can combine the NH 49B exploration tour with spiritual tours, or tour to explore Cau Hai Lagoon and experience fisherman work and so on. Recently, the Provincial People's Committee has approved the funding to invest in some infrastructures for tourism and more convenient traffic connection. This provides the basis for the exploration tourist route along NH 49B to be attractive and keep tourists staying longer in Hue. The People's Committee of Phu Loc District also said that the district is implementing a project on tourism development in the area. 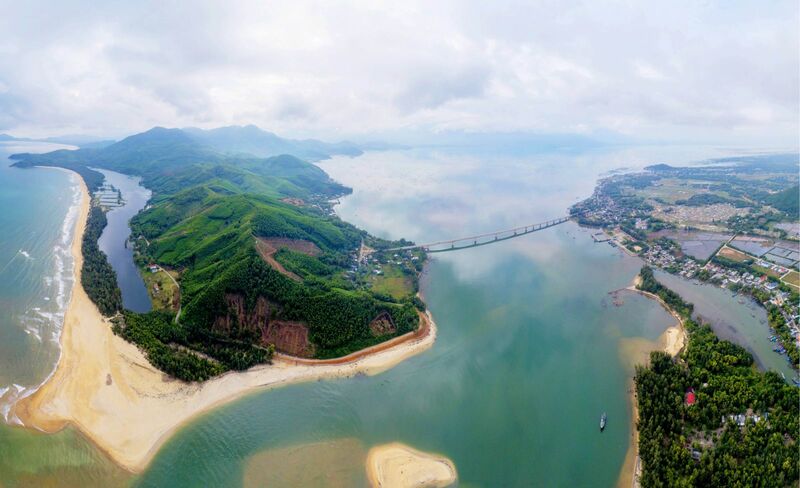 Cau Hai Lagoon will form the nucleus of the project; on the lagoon will be ecological tourism spots and entertainment spots to serve tourists, welcome the flow of tourists to Phu Loc in the future. 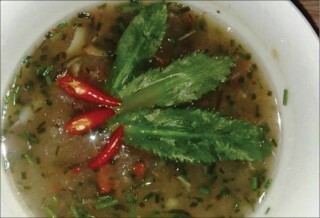 Also, perfecting sea tourism and promoting community tourism in Ganh Lang create the highlights for Phu Loc tourism. 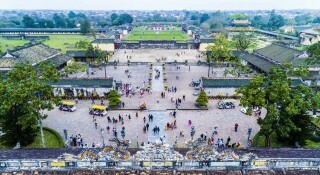 For NH 49B to become Hue’s attractive tourist route, there is a need to form a tour to explore the whole route, stretching from Phong Dien to Phu Loc, and choose some highlights to create stopover points for tourists. The tourism sector needs to enhance the promotion of this route, and encourage travel businesses to develop more attractive tours and products.